Amazing Cultural Experience in Havana: There is a magic about Havana that captivates visitors from the moment they set foot in the city. The unique charm of seeming to have stopped in time as vintage 50s cars roll through the streets. It is combined with the more modern feel of the thriving private sector which recently began growing. Though there is no denying its beauty during the sunny daytime. 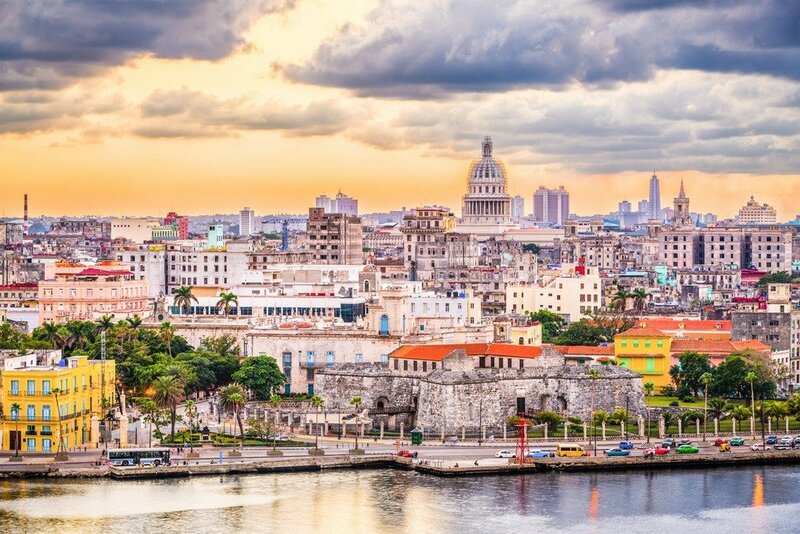 Havana truly sparks up and comes alive in the evening. Music is a staple of life in Cuba. Cuban love to dance and if you are at a night club or any public place where there’s music, both men and women will offer a dance with you, they will go out of their way to teach you if necessary. There are plenty of places to see salsa dance in action in Havana, and you can join them or take a free lesson from a Cuban willing to teach you. Dances such as rumba and conga are very popular among regular people and take place at parties and public areas. Old cars are often at the top of peoples list of Havana highlights. Cuba is renowned for its vintage cars. Cruising around Havana in an open top 50’s relic would have to be the highlights of any trip to Cuba. Perhaps one of the most significant trademarks of Cuba is its notorious collection of antique cars from the 1950. While many people still use them for everyday use. Most of them are operated as taxis or private vehicles. Enjoy the Parisians Dinner show at Hotel Nacional. There also have dinner along with a cabaret show that is somewhat like the Tropicana show but on a much smaller scale. The cabaret show is performed in a theatre just outside of the hotel where you can reserve a table for dinner during the show. If you are in Cuba, you have to see how Cuban cigars are made. It is really impressive. Partagra’s is one of the oldest largest cigar factories in Havana and is where they roll brands like Cohiba and Romeo and Juliet. They will explain to you how using different proportions of tobacco leaves make each brand different. They will gladly let you play with them, even if you don’t know how to play a proper musical instrument. Some of these bands include straightforward instruments such as claves, maracas, cheques or even bongos. Havana’s is a combination of history, culture, economy, and whether that creates a unique setting to enjoy the most diverse and fun experiences.